Some unwelcome animals were caught on camera on a steep ridgeline along Spring Valley Road, Flowerdale, where the vegetation is gradually regenerating after the Black Saturday fires. 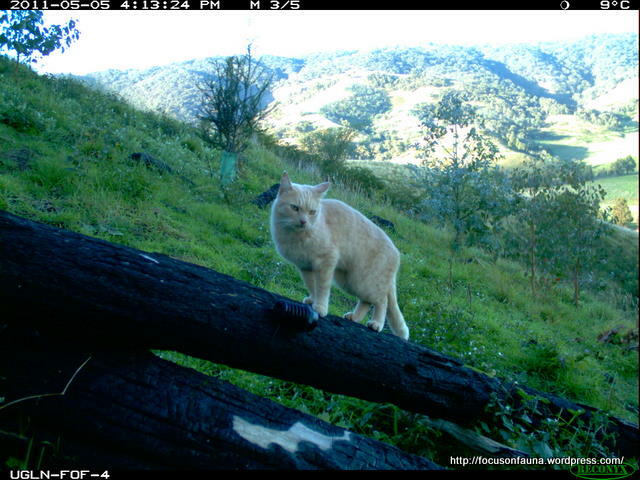 This sleek and clearly well-fed feral House Cat (Felis catus) poses a significant threat to our recovering native wildlife. 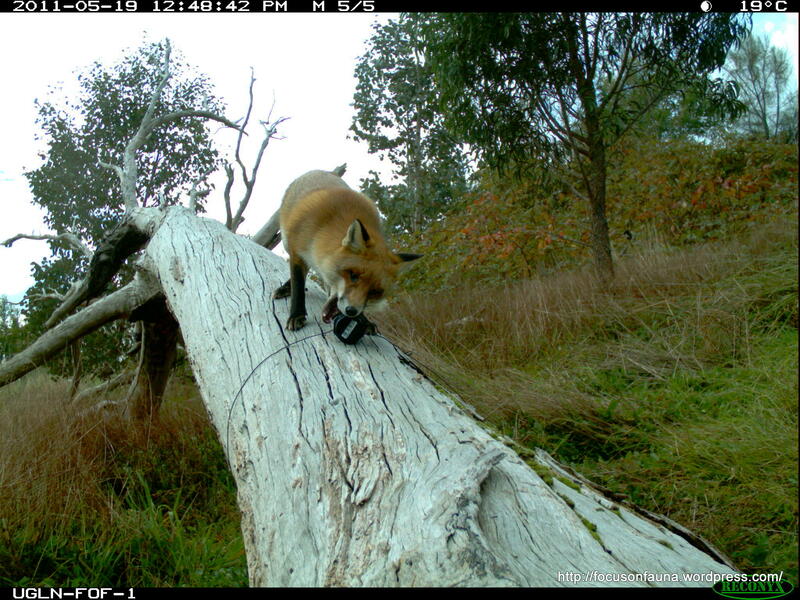 Another major threat to wildlife in the district is the Red Fox (Vulpes vulpes). Fortunately in this case its prey seems to be a rabbit !? 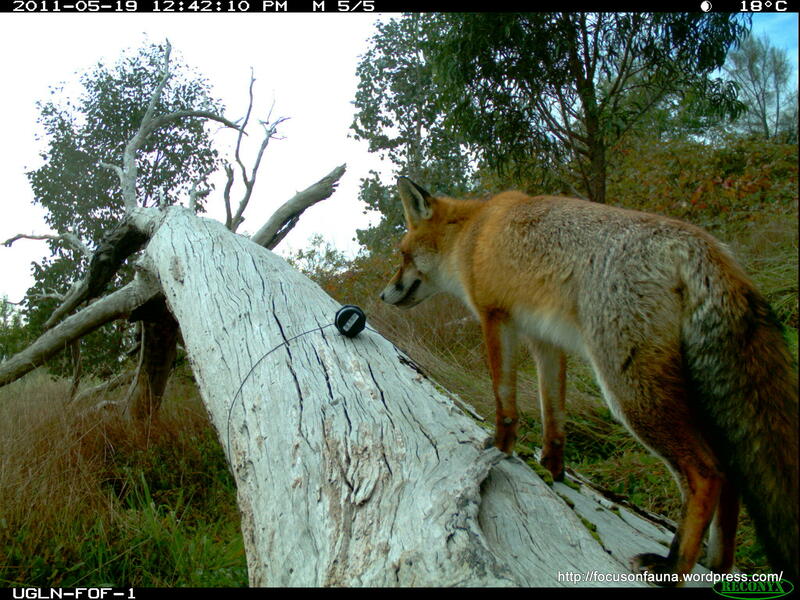 Foxes have been recorded on camera at several of the sites we have surveyed, often hunting during the day, and attracted by our scent-lures, which are safely contained within strong plastic containers ! Maybe the cat that has been seen is one that may have survived the fires and once was a beloved pet of someone but never found.